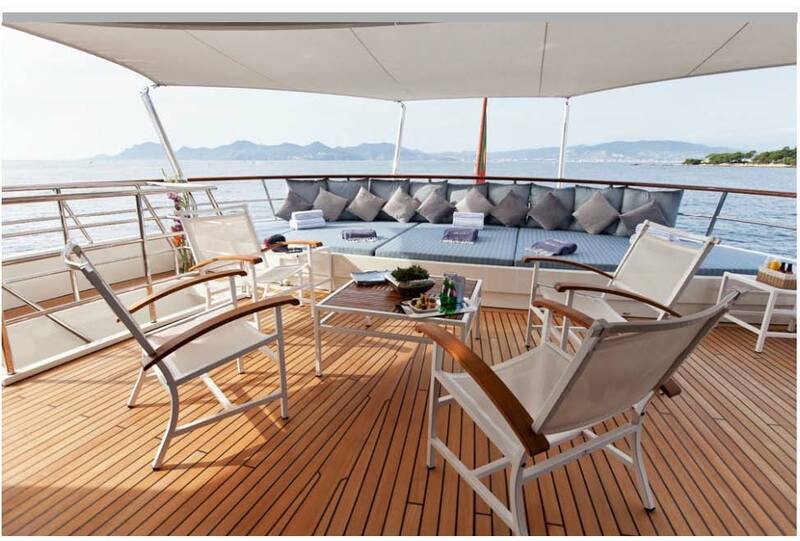 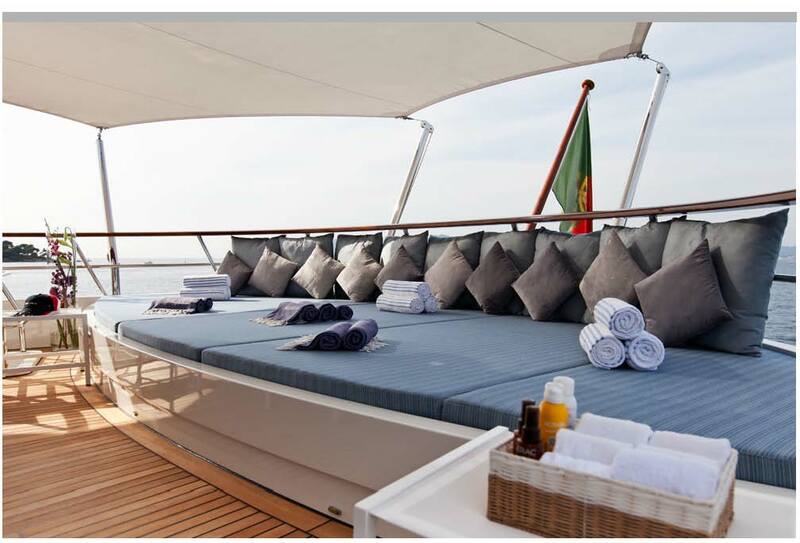 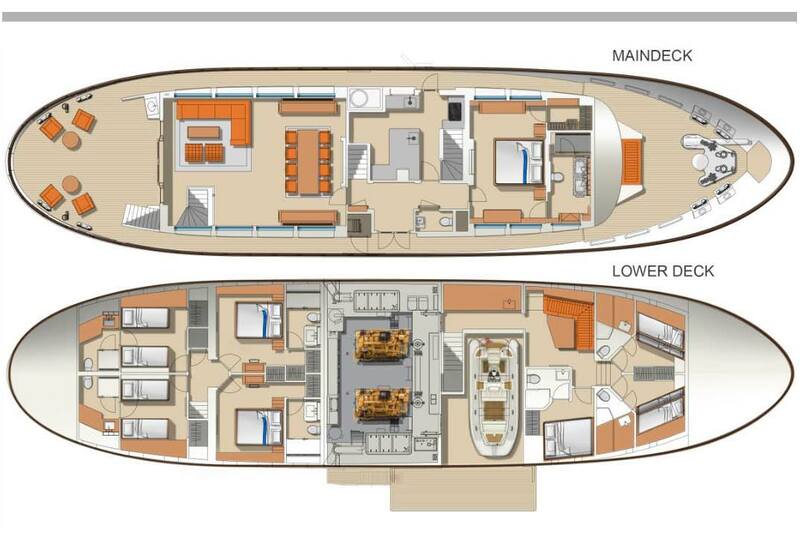 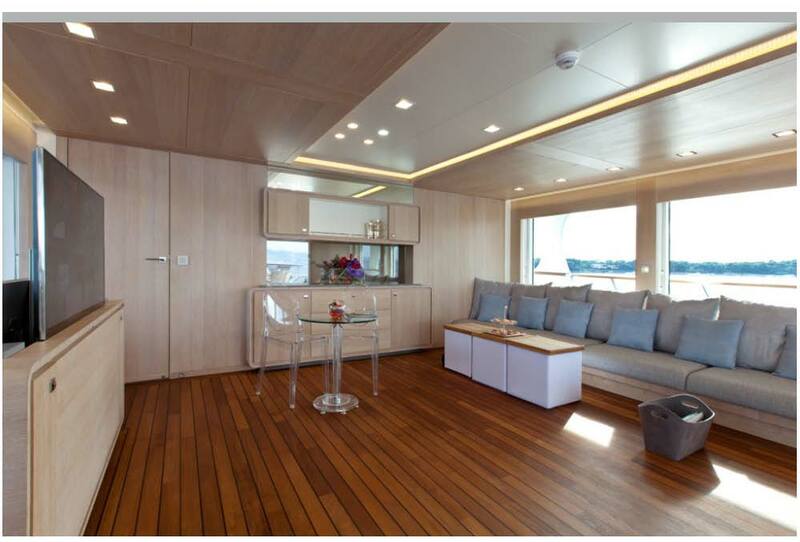 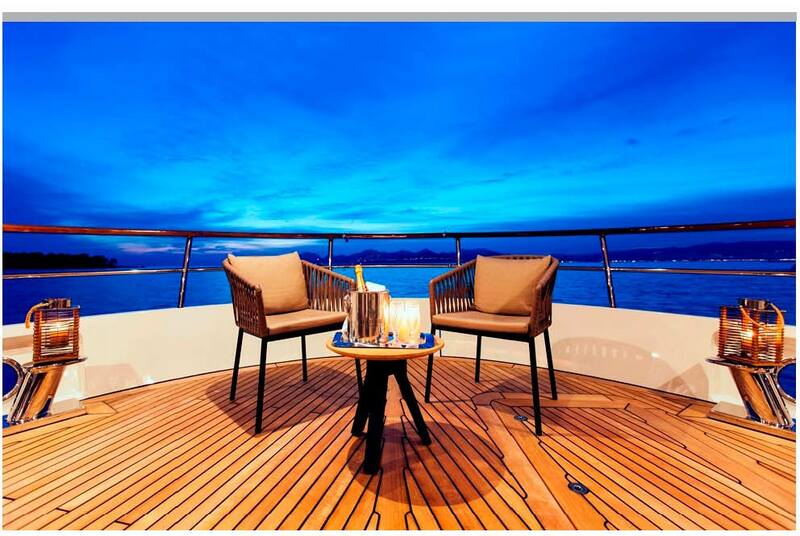 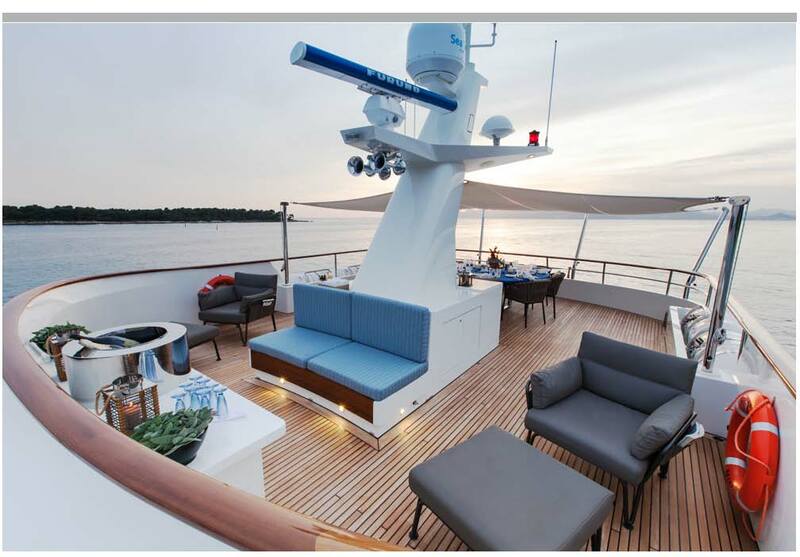 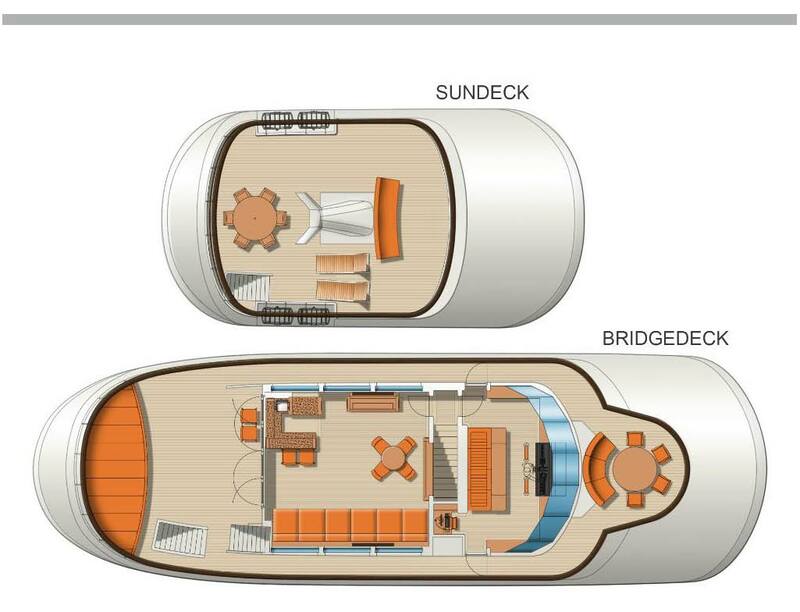 Full-Beam, Main Deck Master with King + 2 VIP Queens + 2 Twins each with Pullman, each with private bathroom. 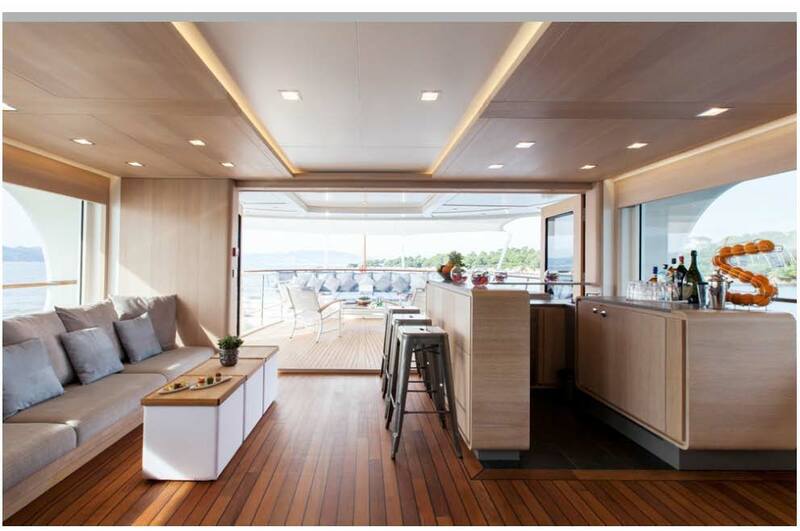 We are excited about the Chinese Culture Cruises that Captain Laurent and his first class crew are offering aboard the 109′ motor yacht ROBBIE BOBBY this summer in the South of France. 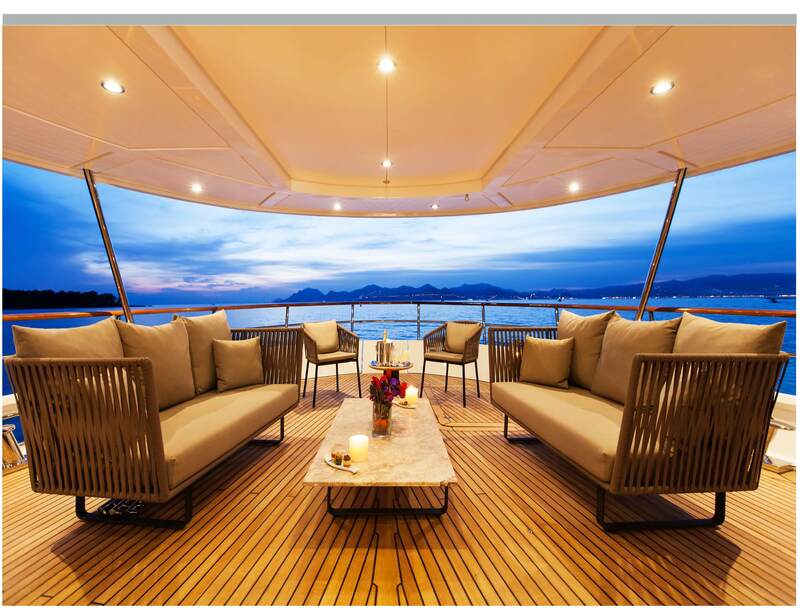 The yacht’s calendar is open for bookings anywhere in the West Med for Summer, 2017, specializing in family and corporate event charters. 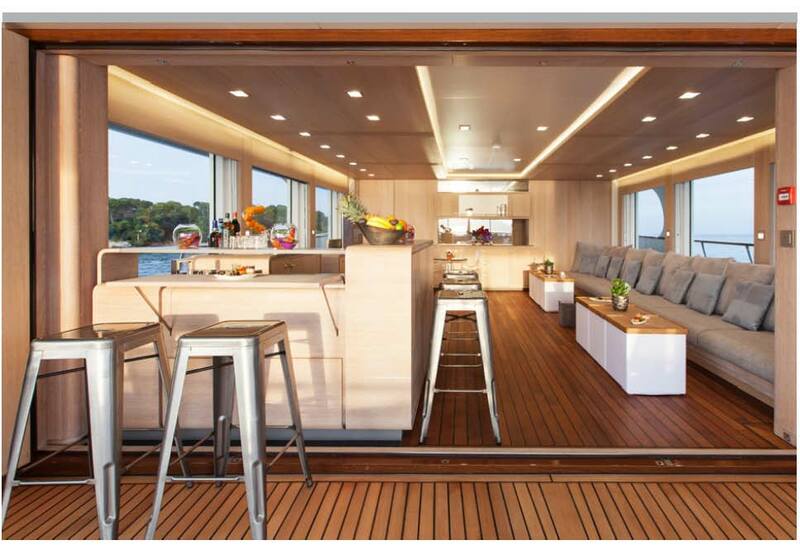 This ten-berth steel-hulled displacement vessel is unique with contemporary interior and clean exterior lines and features a wide range of water toys for families and friends. 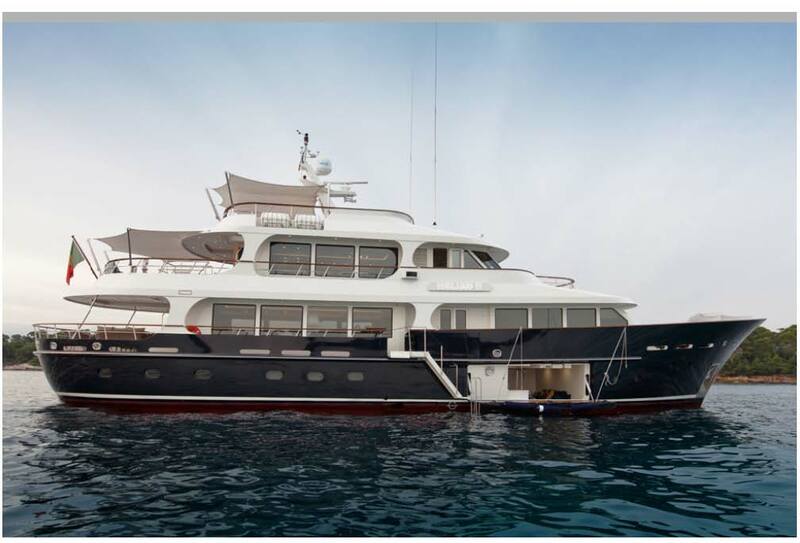 American owned, this tri-deck motor yacht offers the ideal space for entertaining friends and clients in grand atmosphere. 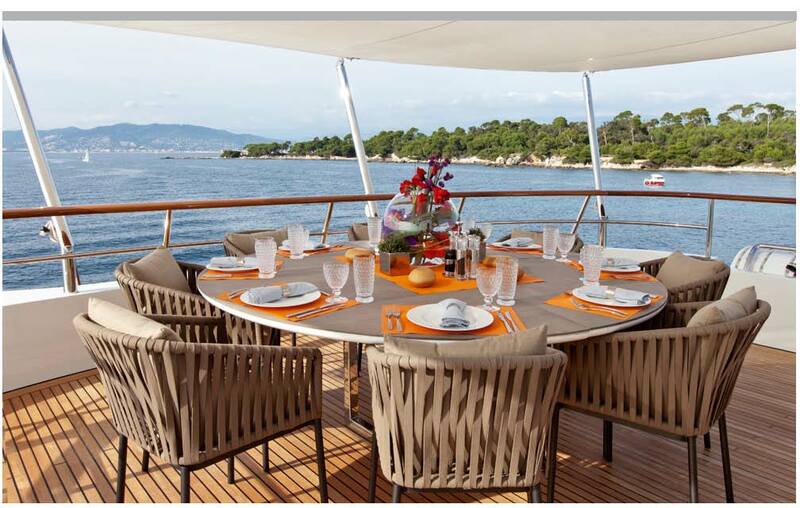 The crew are good at throwing parties and create a festive atmosphere and fun for all. 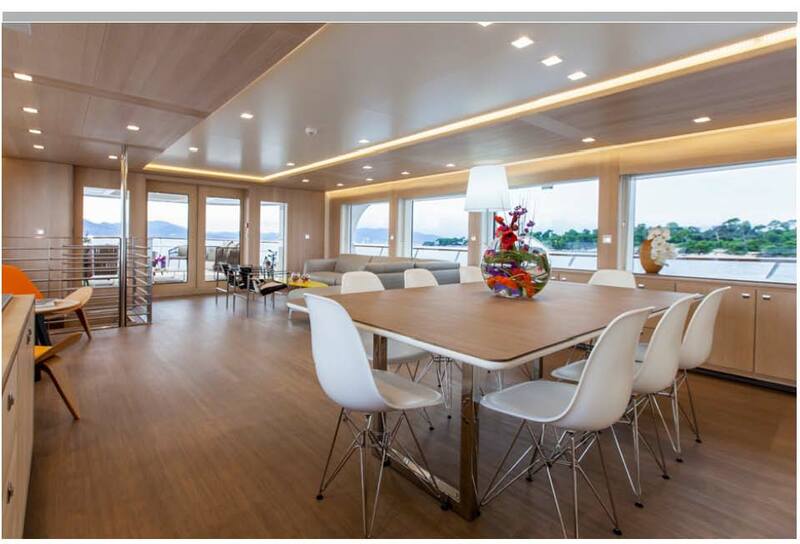 With “minimalist,” “empty” space, and absolutely gorgeous furniture and tablescapes on the main deck, bridge deck with sky lounge, and sundeck, ROBBIE BOBBY entertaininig areas are an ideal space for private parties and groups of 70 guests, looking for a party, organized by a crew selected for organizing events. 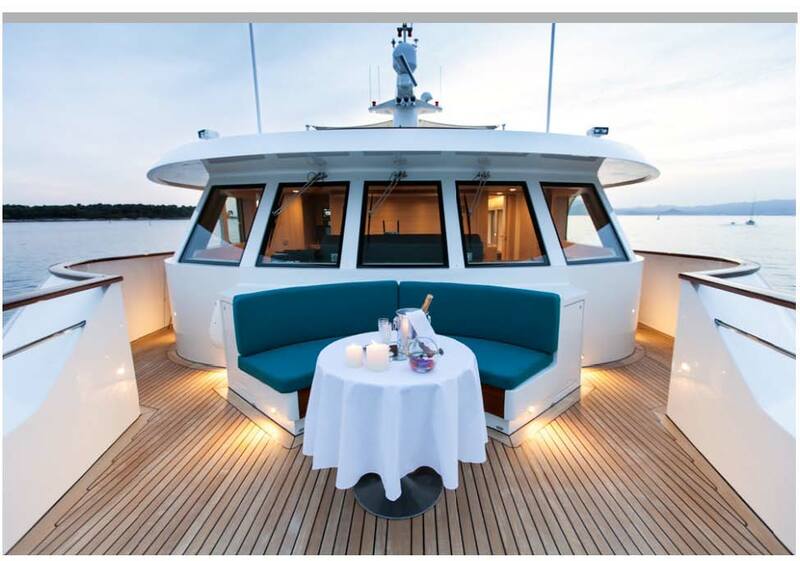 Good with children, this young, attractive, energetic crew excels at family charters. 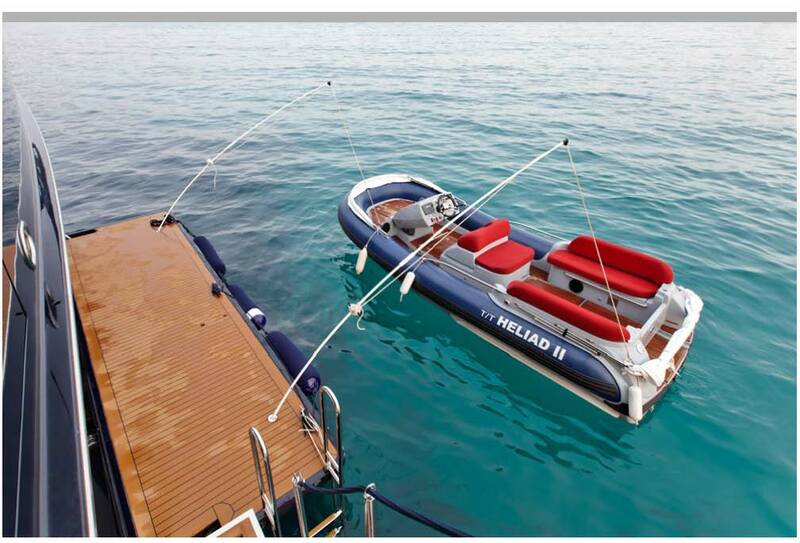 Providing children with lots of activities ashore and aboard, the yacht is offered with lots of sports equipment. 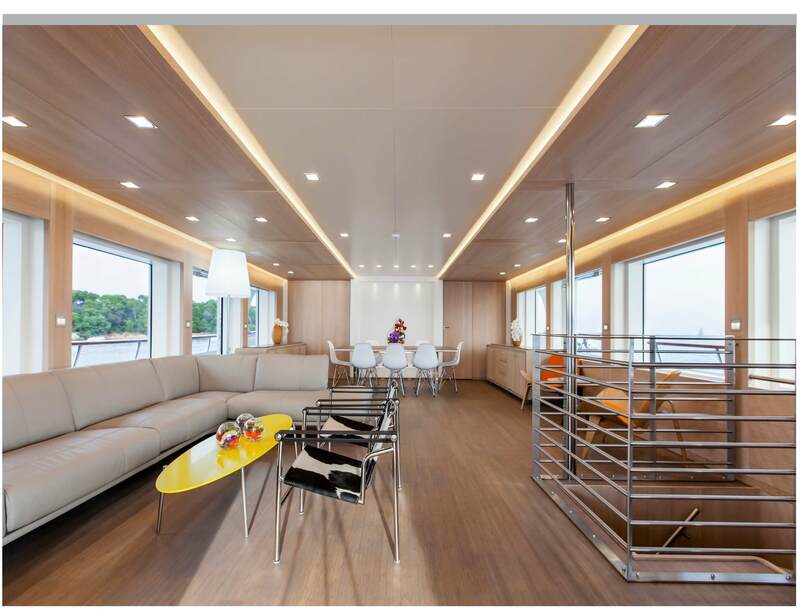 The beach club lazarette opens up out of the side of the ship and ejects the tender and all manner of sports equipment. 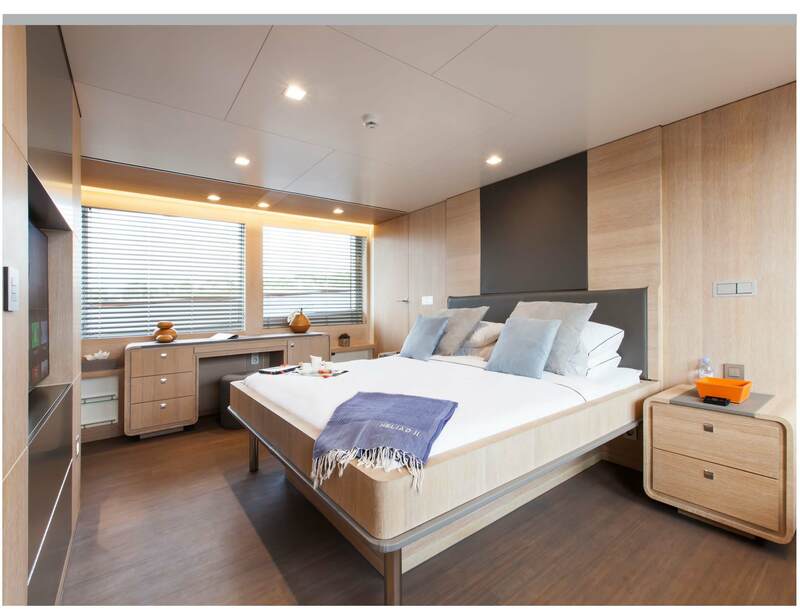 Accommodating twelve guests in five staterooms, the full beam, main deck master stateroom with dressing room is forward, and below are two Twins cabins, each with Pullman berth, and two mirror image Queen staterooms are aft in a second compartment. 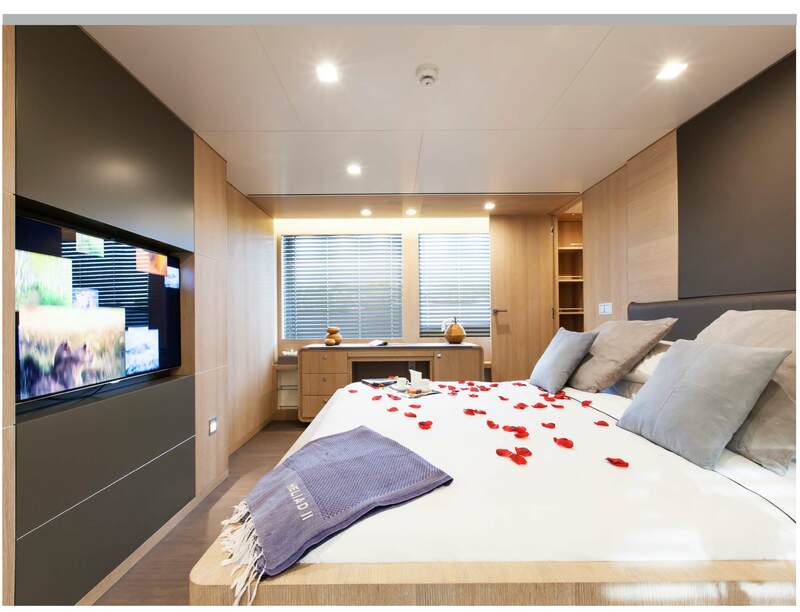 Each cabin has its own bathroom, and all of them have TV with Crestron entertainment controls…. 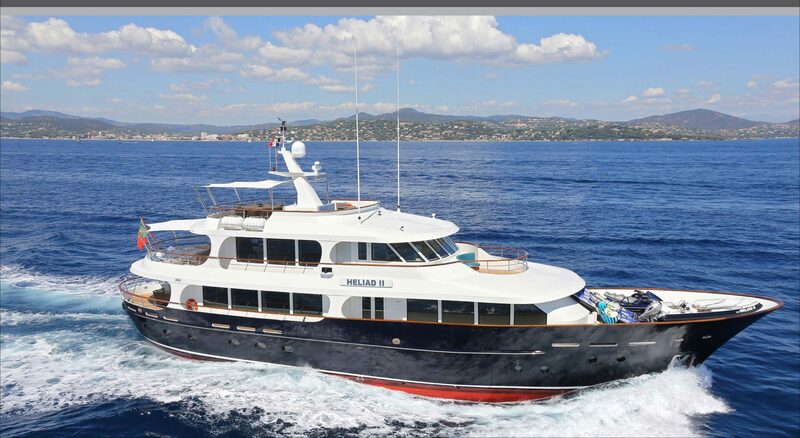 This yacht is a beauty and well operated by her delightful, fun, French crew of six.